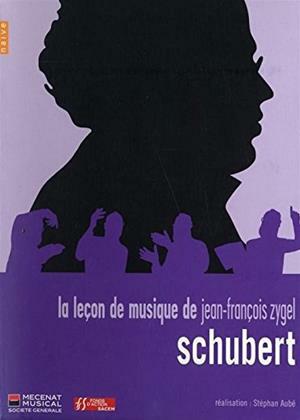 Jean-François Zygel, pianist improviser, composer and pedagogue-born, tells us the secrets of Schubert's music. Illustrating his remarks on the piano, he is surrounded by the Ebony Quartet, the bassist Benjamin Berlioz, and the singers Nora Gubisch and Laurent Alvaro. Video made by Stéphan Aubé, with bonus The little alphabet of Jean-François Zygel + CD to complete the lesson by listening to excerpts from the masterpieces of Schubert.